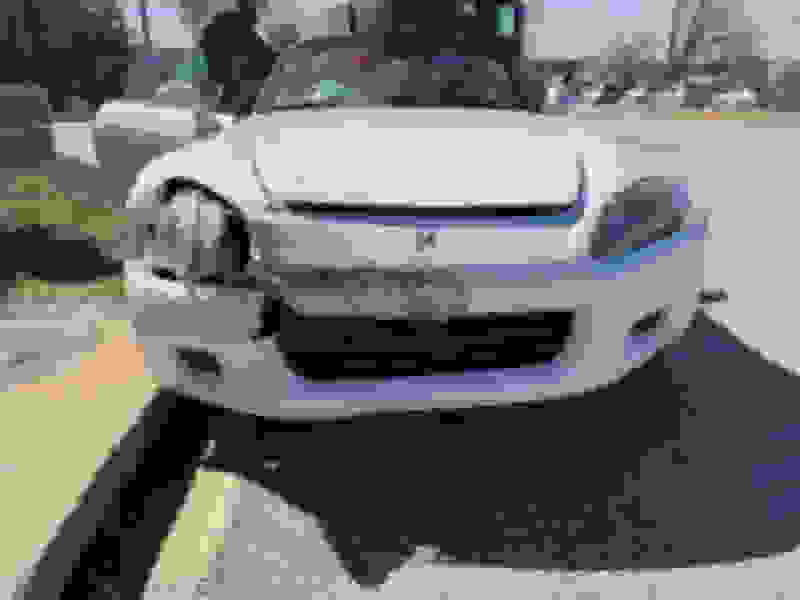 The insurance company had totaled our S2k and wants to give us $10,200. For those of you who haven’t read tmy “Our car is hurt!” Thread, this is a 2003 S2k white over tan, 80k miles, no modifications, top would need to be replaced within the year because it was original. 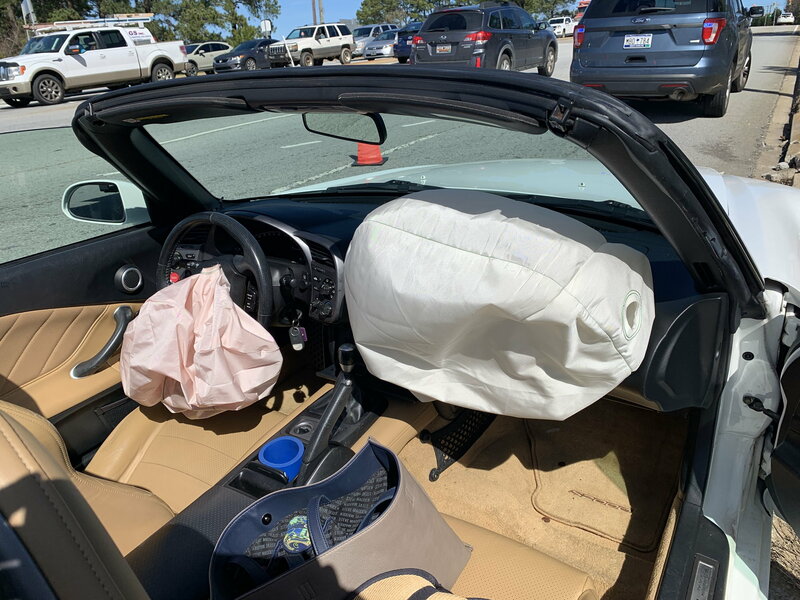 The damage seemed minor, but the air bags went off and fhe safety systems will cost almost $6k to replace. I thought the number would be $12k. However when I go on KBB (which I do not typically respect) or Edmunds (which I do typically respect) and the number, while low, doesn’t seem crazy. Thoughts on how to prove a higher value? Make them find you a white/tan S2000 of the same year, with the same mileage for $10,200 in your area to match their valuation. Watch them struggle to do this. With modern search engines such as autotrader, CarGurus, cars.com, it’s pretty easy to do this yourself in like 5 minutes. OP - find some comps and present that to the insurance company. At this stage hiring an attorney is a bit extreme. I think he valuation is $2-3k low, but is should be easy for you prove this. For a sum that is sometimes less than $1000, an attorney could potentially make you $5000 in some instances. Your mileage may vary, but if you have a car that has such a wide disparity between NADA and KBB, you may find that one is necessary... especially as values continue to climb. Also, to OP and anyone else, Hagerty and possibly some others offer agreed value Insurance for the S2000. You tell them what it's worth, and they'll insure it for that value with a few mileage and storage requirement. I'd recommend it for anyone with an S2K, honestly. It's very affordable. I think you should also talk to your insurance and figure out their algorithm for determining a cars value. While the market value of these cars has gone up, that doesnt necessarily mean that insurance companies value them the same. A lot of these companies might be taking the original cost of the car, and then adding in the depreciation of the car for years and mileage without taking in to account market value. SO while people are selling the car for 16k-17k, the insurance company doesnt (makes sense) care about that. As an example if you bought an NSX 10 years ago when they were like 20k, and then you crashed it now when market value has them going for almost 100k, i doubt the insurance company would see that and give you market value for the car. I could be wrong but this kinda sounds like what they are doing to you. They see a car that brand new was 35k, and then plugged into their calculator the depreciation of 16 years and 80,000 miles and then reached the conclusion of 10k. Remember our cars are valuable because they are rare and a desirable sports car. If noone actually cared about the S2000 these cars would probably be going for 10k 80k miles clean condition. But to reiterate my first point, find out how they calculate car cost, then figure out what the law is for these things and if their calculations are allowed. If the insurance company is just making up random numbers then an attorney can fix all that. I love Hagerty. Three of my eight cars are insured through them (NSX, 1966 Lincoln Continental Convertible, and Nissan Pao). At the time we purchased the S2000, they were not insuring them. Frankly, I never thought to go back and check if they started. I would ask the insurance company to find you an s2000, same year and similar mileage for their money they're offering. Then ask them to tell you where it is because you're going to go and buy it- no matter where it is in the US of A.
you should be receiving a check for $15K. Press them. Hard. I say this as my wife had a similar situation years ago- the insurance company said they found a replacement car for the money they were offering- about $4500 at the time. She asked where it was as she liked the vehicle she had and wanted to replace it (it was apparently located an easy drive 3 hours away from us). She called out the insurance company when she pressed them for which dealership it was located at, but they couldn't actually provide more information. She received a better settlement that allowed her to replace the car. Last edited by darcyw; 03-21-2019 at 05:38 PM. I have the same ‘03 GPW that I purchased last May with 74k on it. I paid $15k for it and feel like I got a great deal. Like Darcy said, make them find you one for that price. That is a 15k car all day long. Fight back... don't take their offer. You are their customer and ultimately you are boss.